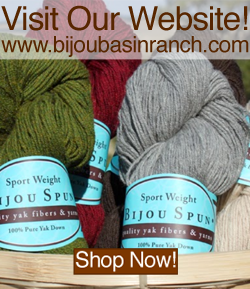 Bijou Basin Ranch: Delta Hat KAL & See You at Stitches! 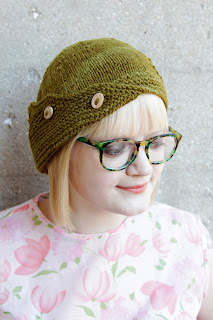 Delta Hat KAL & See You at Stitches! 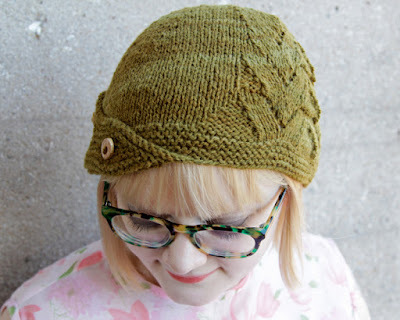 The Delta Hat is knit with just one skein of our Himalayan Trail yarn; this new design features a deco-style stitch motif on one side and a garter flap on the other to create an asymmetrical cloche-style hat. The KAL will begin this Friday, August 7 in the Hands Occupied Ravelry Group and run through Monday, August 31! Click here for more information on the Hands Occupied blog. We'll be kicking off the Delta Hat KAL at Stitches Midwest: designer Heidi Gustad will join us in the BBR booth for a Meet & Greet on Friday, August 7 from 10am-1pm! While you're in our booth at Stitches Midwest, but sure to check out our new limited-edition colorways of Tibetan Dream sock yarn by Miss Babs and ask about the Stitch Marker Swap! 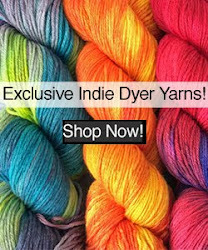 We're also bringing a brand-new yarn to make its world debut at the show: just say "Xanadu" when you stop by our booth to discover a whole new world of luxury!